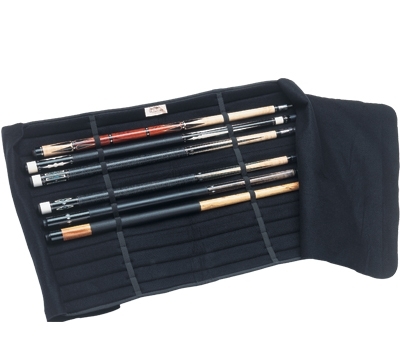 Porper has earned their excellent reputation by supplying pool players with top quality cue cases that keep their pool cues well protected. The show pad has a heavy-duty vinyl exterior with a soft, felt interior with elastic straps to hold 12 cues in place and felt flaps to fold over and protect the cues. Hook & loop fastener straps allow you to roll up and secure the pad. Showpad measures 32.75" long x 23.25" wide. Available in Black only.